It is time for us to complete our AdvancEd surveys. Your responses are anonymous, and your honest opinion is appreciated. Please click the appropriate link below to participate in the surveys. Cherokee County Schools offers more than 3,900 students of Cherokee County extensive learning opportunities, including the traditional curriculum, vocational training, and technology. Furthermore, with the many athletic programs and extra curricular activities at each school, students are assured a well-rounded, quality education. 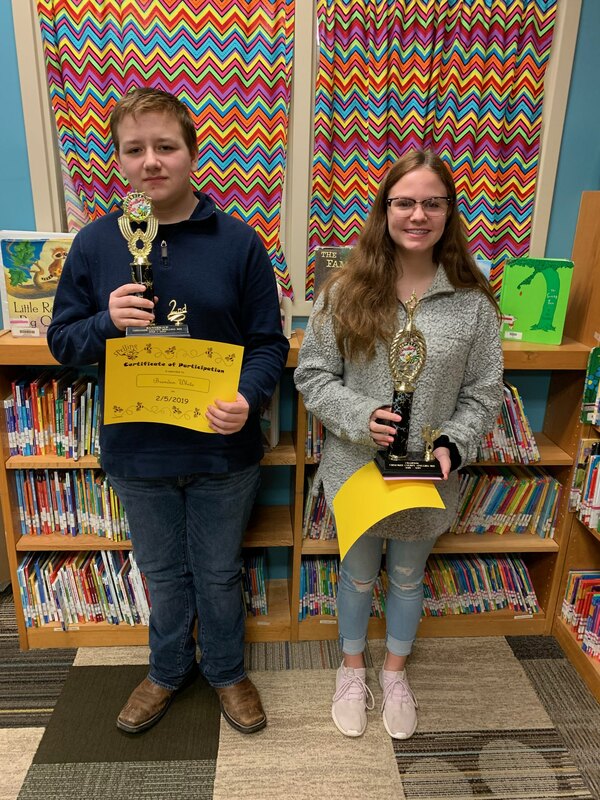 A group of bright, young students from Cherokee County Schools gathered at Gaylesville School on Tuesday, February 5, to compete for the system title of Spelling Bee Champion. All participants were either the winner or first alternate of their respective school Bees. Students correctly spelled words such as cleanser, tithe, ambulance, carnivore, ventilate, and aquatic. Centre Middle School seventh grader Greenly Robbins and Spring Garden eighth grader Brendon White battled through the final rounds of competition before Robbins secured the win by correctly spelling the championship word, which was algebra. Robbins will advance to the state competition later this year. The judges for the competition were Ms. Emma Lou Burt, Ms. Jo Carmon, and Ms. Dewandee Neyman, with Ms. Sarah Benefield serving as pronouncer. Congratulations to all of the students who participated! Also, we would like to extend a special thank you to the Spelling Bee Sponsors from each school: Pam Burgess, Cedar Bluff; Amie Davis, Centre Elementary; Anna Young, Centre Middle; Gina Roe, Gaylesville; Leslie Ann Rowland, Sand Rock; Heather Maddox, Spring Garden; and Jennifer Mackey, System Coordinator. Are you a grandparent, aunt/uncle, foster parent, or other nontraditional parent? This event is for you! Join us Friday, March 8, from 10:30-12:00 at Centre First United Methodist Church to connect with local community resources and other caregivers like you. Click this box for more information. Open enrollment for Cedar Bluff Pre-K, Centre Elementary Pre-K, Cherokee County CDC Pre-K, Gaylesville Pre-K, Sand Rock Pre-K and Spring Garden Pre-K will be January 15 -March 5, 2019. Children must be four years old by September 1, 2019. No five year olds will be accepted. Registration forms must be completed online at https://alprek.asapconnected.com. 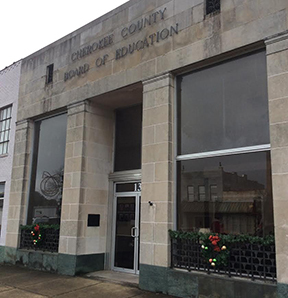 Sand Rock School at 8:00 a.m.
Gaylesville School at 9:30 a.m.
Cedar Bluff School at 11 a.m.
Spring Garden School at 1:30 p.m.
Centre Elementary and CDC will be at the Board of Education Central Office at 3:00 p.m.